Ada Therapist: Robert Funaro - Therapist 49301. Send A Message To Robert. Session Fees: Fees are determined on an individual basis - insurances not accepted. Hi, I bring 35 plus years of experience to the practice. I am married 37 years, have 4 children (2 biological and 2 adopted), and has 5 grandchildren. I am honored to hold degrees in Education, Theology, Psychology. 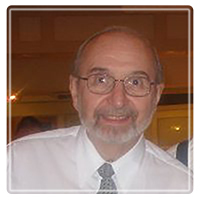 Bob is a Supervised Limited Licensed Psychologist, a Clinical member of the AAMFT, Hospice Volunteer, Associate Spiritual Director and holds three Masters Degrees and a Doctorate Degree. My practice has grown and evolved over the years because of reading, praying, and learning from colleagues and clients, I experience more and more the relationship between the human, spiritual, psychological dimensions of each person looking at the way that one lives one's life. Practice, for me, is an active, learning term which implies that I continue to learn and have for over 35 years. Whether working a person through a difficult time of anxiety or depression or helping a couple renew their love, commitment, or even helping a couple discern if marriage is appropriate for them any longer, therapy/counseling is interactive challenging, exciting, and reflective of the human condition (and the spiritual condition). Sometimes, couples wonder if they are adequately prepared to enter marriage and seek assistance in looking at the personal and interpersonal dynamics of relationship building. I have been involved since 1978 in Pre-Marriage counseling and therapy, working with the couple in looking at, and developing the skill sets necessary to respect their individuality and their process of growing together. Whether there are similarities, differences, cultural nuances, religious beliefs, etc, pre-marriage counseling assists one to see the dynamics of interactive exchanges to uncover their path toward a life-time of a growth producing relationship. My philosophy is very simple - accept each client(s) as unique and working through a human moment of need and want. Pain is real, anger is real, healing is also real. I am personally a believer in the relationship of psychology, counseling, theology and the search we all have for the meaning of our lives. I am interactive in the session, reflective, open to guidance and prompted by the needs and wants of my clients. Each one is unique, looking for a special something in their lives. I believe therapy/counseling gives each and every client the opportunity to seek a deeper meaning and purpose to their individual or marital lives. It is also important to say that age, race, gender choices, spiritual dynamics etc. are not an issue for me. It is my belief that all are and ought to be welcome into the process of self-growth, discovery, healing. There is no discrimination when it comes to searching out life, its meanings and purposes. No better or worse, no good or evil issues - if one is carrying a "secret" that needs a place to lie, then I believe that I can create a safe, comfortable, and challenging environment within which one can be freed of their stress and distress. We all, in my eyes, all invited to take that step towards personal and couple freedom. It is my hope that if you choose to contact me, that you will find a welcoming, receptive and open-minded fellow journeyer extending a hand so you can be more at peace; more personally gratified; and, more integrated in the dynamics life presents to you. Welcome to this practice.